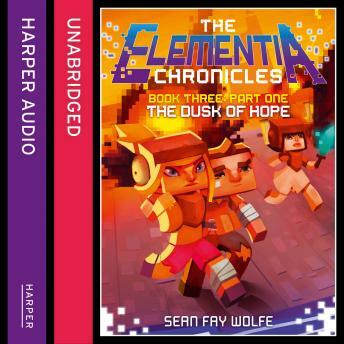 Part 1 of the stunning conclusion to the Elementia Chronicles: an unofficial MINECRAFT-fan adventure series, inspired by the bestselling game. The Republic of Elementia is in ruins after the Noctem Alliance waged war on Element City. President Stan and his council are scattered across the aerver, trying to find their way back to one another to continue their fight for freedom. And a mysterious figures has joined their world - one with the power to save or destroy them all. Can Stan reunite with Kate, Charlie and their friends and make a last stand for the world they love in an epic battle of good vs. evil?